"Works great looks great good add ons"
Love the app. Check it a few times a day cause my dog can't call me up and say, " Hey it's a little to hot here". I have it in my bathroom upstairs (Main unit) and the backyard has the outside unit with the shield. Just added the rain unit today. Never rains in San Diego but tomorrow I'm curious to see how much it gets. The airport has a big weather station down about a mile closer to the ocean. Will be curious to see how the rain compares. 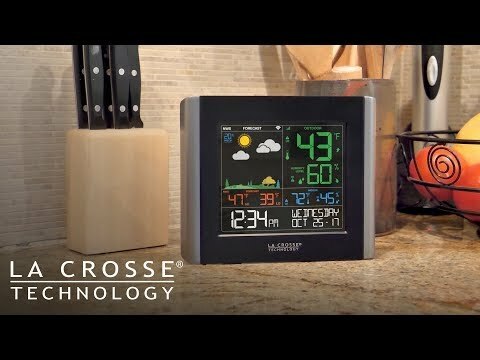 Great, inexpensive for a weather freak. 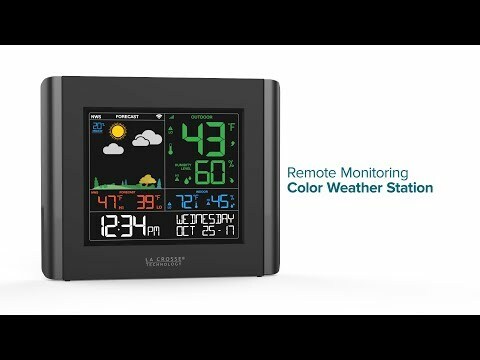 I had a Weather Station by a different company and it really worked. So I bought this unit. So far - 1 month and it works perfectly. I love the app. We have 3 Remote sensors connected to the station on our Cabin up north and we can see the temps, the weather and all the details we want to see in real time. We just bought a 2nd unit for our home. So nice the app let's you hook up 2 stations. So far, we are VERY Satisfied. - Hello Dave, Thank you for your review. We really appreciate your comments. "Sensor and weaher station does not sync. " When I first set up my system it worked great and I loved it. Unfortunately after 2 months the sensor and weather station would not sync up. I tried replacing the batteries, I looked on You Tube and read the manual. Nothing. The sensor still displays the temp and humidity but it will not sync. Hello , Thank you for your comments. We really appreciate you taking the time to leave a review. Please try these steps to re-sync your outdoor sensor to the display. 1)Bring the sensor 5-10 feet from the indoor display and remove the batteries. 2)Press and release the SENSOR button on the indoor display 2 times to view your sensor ID number. 3)While viewing your sensor ID, hold the MINUS button for 5 seconds to delete your old sensor ID. Dashes will show for the ID number. 3a) If there are dash already when you view the sensor ID press and hold the sensor button for 3 seconds to have the station search for the sensor. 4)Your station will begin searching for the sensor. 5)Place new batteries or try a different set of batteries in the sensor. 6)Press the TX button in battery compartment of the sensor.